Designed with the professional Emergency Medical Technician in mind, this three-piece rescue set is a must-have for your survival stash. It comes with a large fixed-blade knife, folding pocket knife and EMT paracord bracelet that can be unwound to produce several feet of cord. 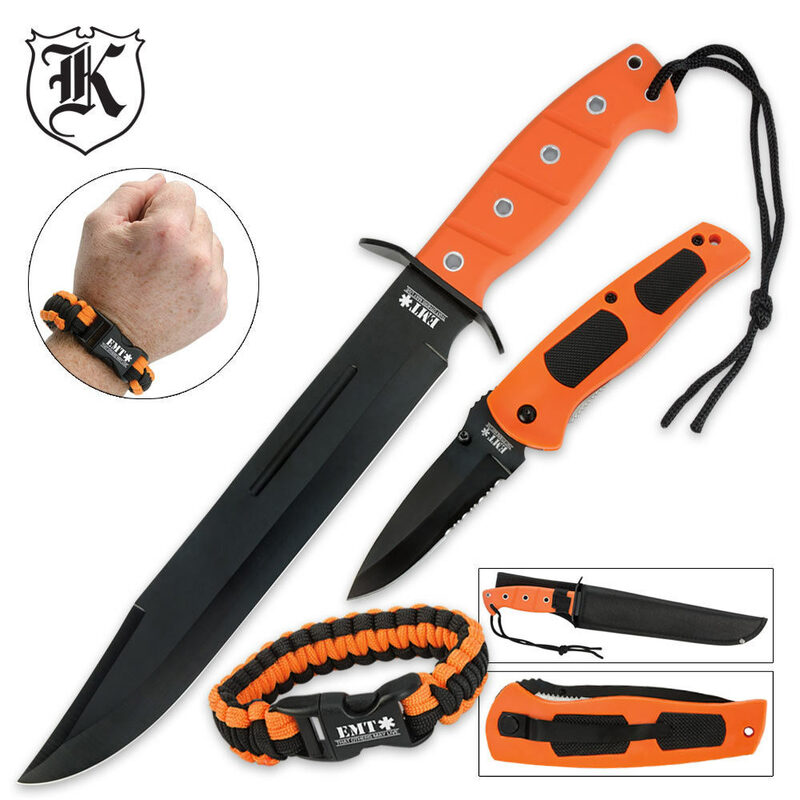 The blades are stainless steel with a black finish, met by orange rubberized handles for a secure, slip-free grip. I absolutely love this set. It arrived two days earlier than the estimated shipping date, and both knives were sharp out of box. The fixed blade was bigger than I imagined, but it is still a good piece. I was happy to find out that the para cord bracelet fit my wrist, as most para cord bracelets don't due to my large wrist. The valence do the fixed blade is a little off, but other than that I am very happy with this purchase. Thanks BudK! This is knife is everything you could possibly need on your adventures or if you find yourself alone in the wild. Sharp right out of the box it's ready to go and with its leather sheath it's always there when you need it. I was very pleased with the quality of the knife set. 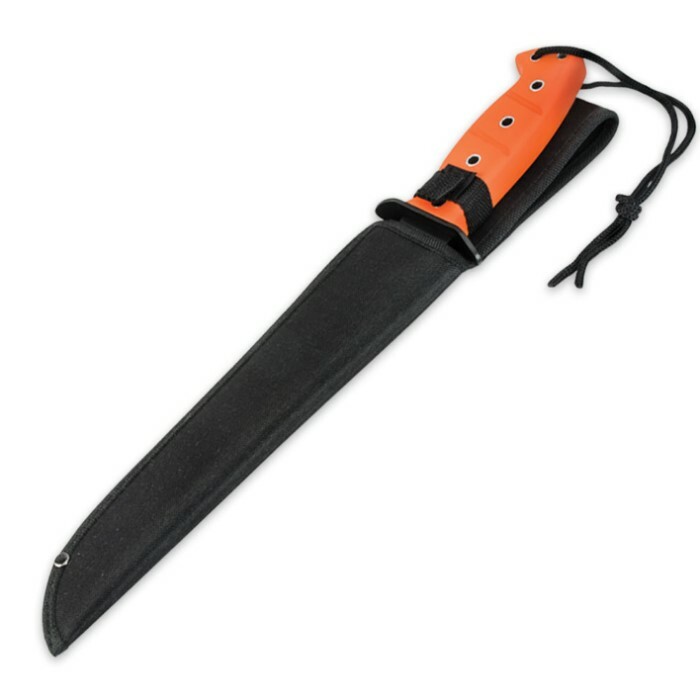 The handle was generous enough to fit big hands like I have and the blade is sturdy and will work well on fishing and camping trips. The pocket knife will come in handy also as it well built. 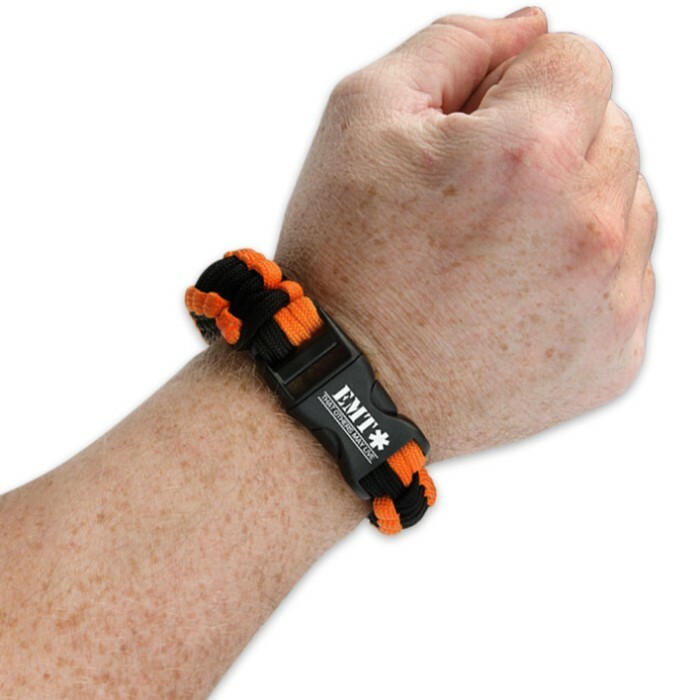 Love the paracord bracelet as I didn't have one and it fits the package. Can't go wrong on the price I paid.